In the old Presto Opera, I was using a lot the facility of finding a word on the page. I had it constantly available at the top left and it was time- and frustration-saving. But to use it in the new Opera, I have to first click on the Menu and then on “Find on page” for the search function to appear. Even worse, every time I change page, e.g. on a topic occupying several pages, I have to repeat the procedure and retype the word. So my obvious question is: Is there a way to put the facility “Find on page” to be permanently readily accessible on top of the page? Ideally it should be part of the URL bar which is very long. I don't think there's any way of doing that, but CTRL+F is the quick way of bringing the search field up. CTRL+F is the quick way of bringing the search field up. Not quite. / on the number pad is slightly faster. CTRL+F does work and is indeed quicker than going thru Menu, though not as quick as having it there constantly. And worse, you still have to type the search word every time you change page in the same tab. / on the number pad doesn't work with me. But I've just discovered by fiddling around that F3 also works and is slightly quicker than CTRL+F. Is there a way of pinning “Find on page” somewhere on the page? Pressing this key doesn't show the "Find on page" field for me. Am I doing something wrong or is my keyboard defective? Do you have 'advanced keyboard short-cuts' enabled in settings? Yes, you do need that selected in the settings for "/" to work on the current Opera, although on Presto Opera it seems to work anyway. F3 is the only shortcut that seems to always work in all versions, at least for me. I am using Windows 10 and can't find anything relevant in: Ease of Access > Keyboard Settings. Where can I enable advanced keyboard short-cuts? 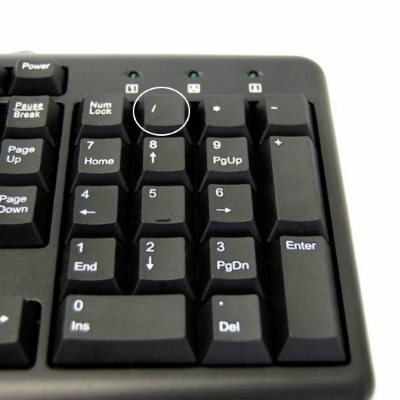 Doesn't the fact that CTRL+F work mean that keyboard short-cuts are enabled? Menu > Settings > Browser. Thanks leocg. It was obvious, but I was looking at the wrong (keyboard) settings. Number pad "/" now works fine. Still not as good as old Opera Presto, but it's getting better.